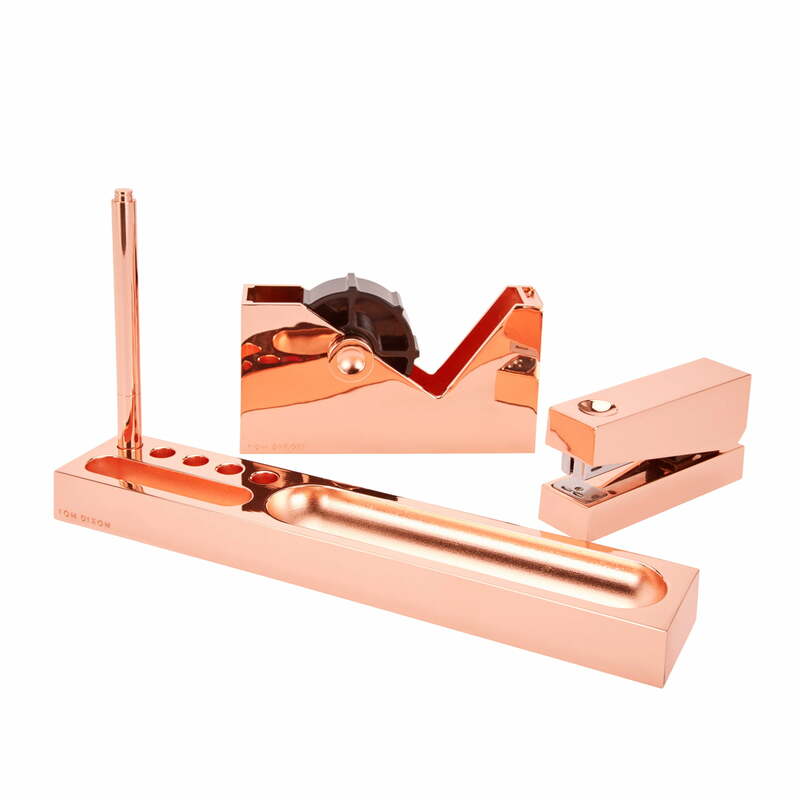 The Cube stapler by Tom Dixon is part of the eponymous collection of minimalist and functional office accessories, which were plated with a copper finish. The stapler has indentations, which makes gripping it pleasant. 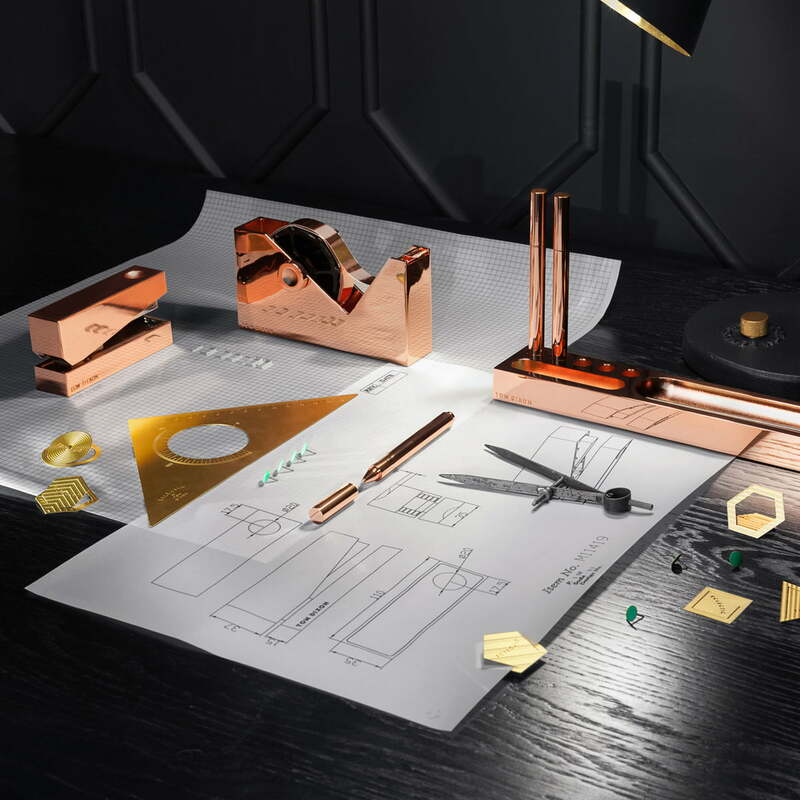 It staples important documents and loose papers reliably and is an absolute eye-catcher on the desk due to the copper finish. 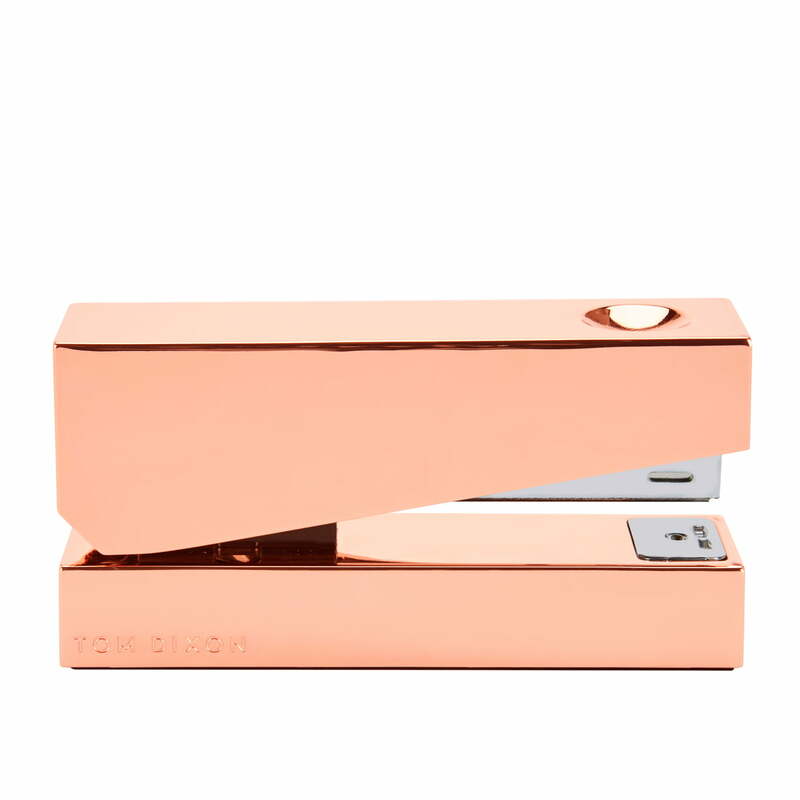 The Cube stapler by Tom Dixon is made from a copper zinc alloy. 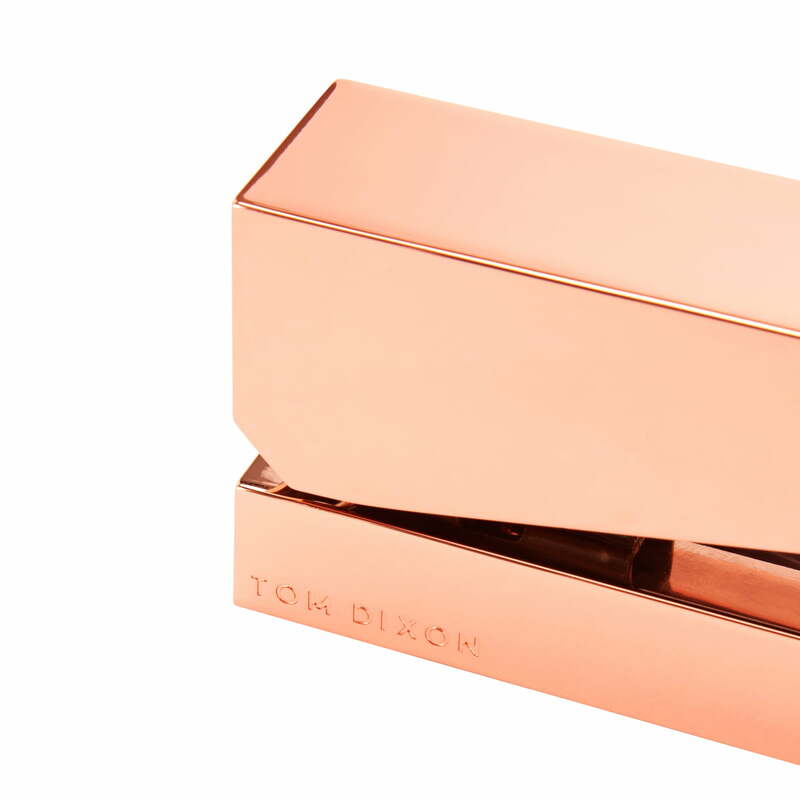 It is delivered in a gift box, making it the perfect gift for any occasion. The Cube series also includes a sellotape dispenser, a biro and a pen holder. 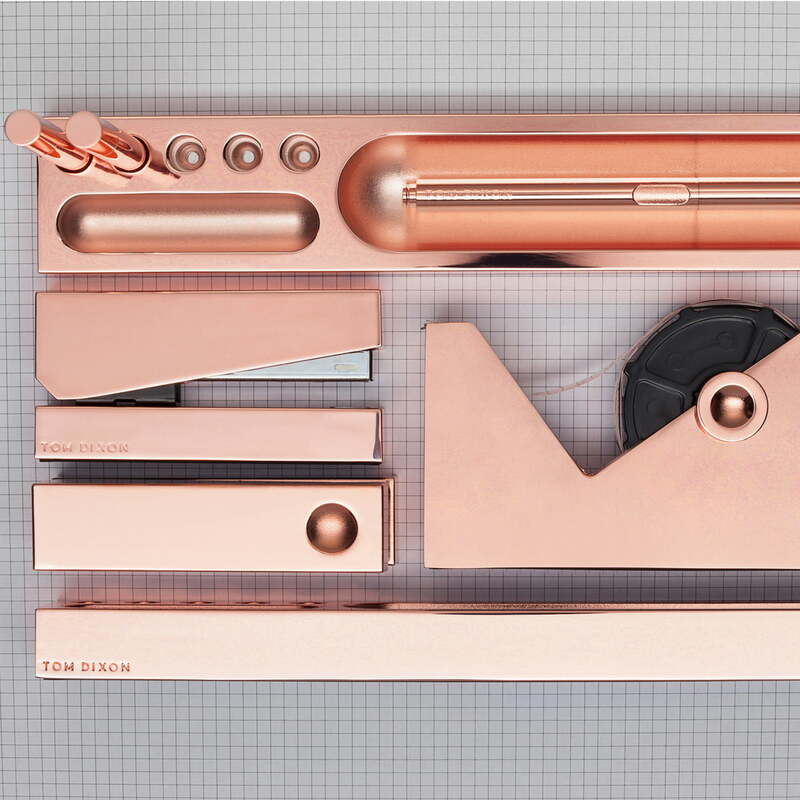 Individual product image of the Cube stapler by Tom Dixon. 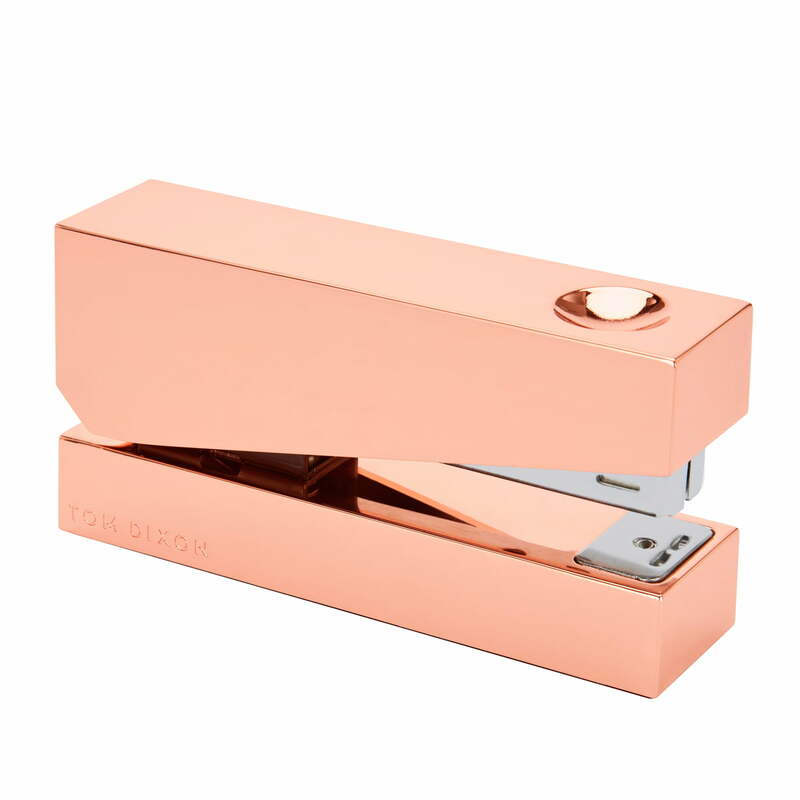 The timeless Cube stapling device belongs to the office accessories collection of the same name by Tom Dixon.